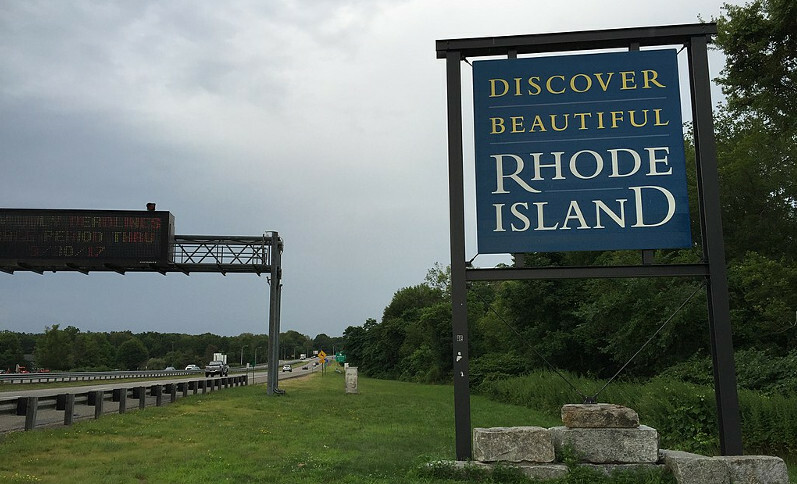 After several delays, Rhode Island Department of Transportation (RIDOT) workers have begun installing truck toll gantries in the state this week. The project, which will collect truck-only tolls at 12 locations in the state, is estimated to raise about $470 million in tax revenue over 10 years. According to RIDOT, each of the 12 locations is associated with a bridge or bridge group and the tolling revenues will be used to repair or replace the bridge location it is associated with. Toll rates will be limited to once per toll facility, per day in each direction. Toll rates have not been set yet but will be limited along the I-95 corridor at $20 for a border-to-border trip from Connecticut to Massachusetts, the state said. There also is a daily maximum toll of $40 per large commercial truck regardless of the number of toll gantries passed. The $20 and $40 caps require the use of a radio frequency identification transponder (such as E-ZPass). The Rhode Island Trucking Association (RITA) and the American Trucking Associations fought the installation of the tolls. RITA claimed RIDOT used an allegedly inadequate environmental assessment (EA), and asked the Federal Highway Administration (FHA) to reject the report. RITA’s president and CEO Chris Maxwell voiced concerns about the report. “The Rhode Island Trucking Association and the American Trucking Associations have identified dozens of errors in RIDOT’s Environmental Assessment, which was published last month. “We are calling upon the Federal Highway Administration to reject the EA and instruct RIDOT to publish a corrected report or to immediately order RIDOT to conduct an Environmental Impact that addresses the issues we pointed out in our analysis,” he added. OOIDA has asked for an ELD exemption for trucking companies with safe driving records. According to FTR, 93% of one-truck operations operating over-the-road have no DOT-recordable crashes in the past two years. For all OTR trucking companies, 81% have no DOT-recordable crashes in the past two years. Daimler begins production of medium-duty engine in U.S.
One of the impacts of the tight capacity and high rates has been to shippers with goods to move. It appears as though those shippers are turning to brokers to secure capacity, raising the profits of the middlemen and shifting the pressure. Like carriers, it appears to be a good time to be a broker, if not a stressful time.